I hope you all had a lovely Christmas day and got some lovely presents. 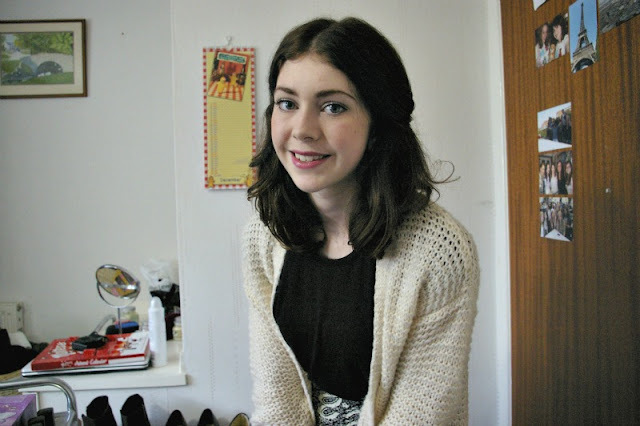 I thought it would be really fun for me to do an outfit of the day of what I wore on Christmas day! The top I am wearing is just a basic black top from Topshop which I tucked into the skirt. 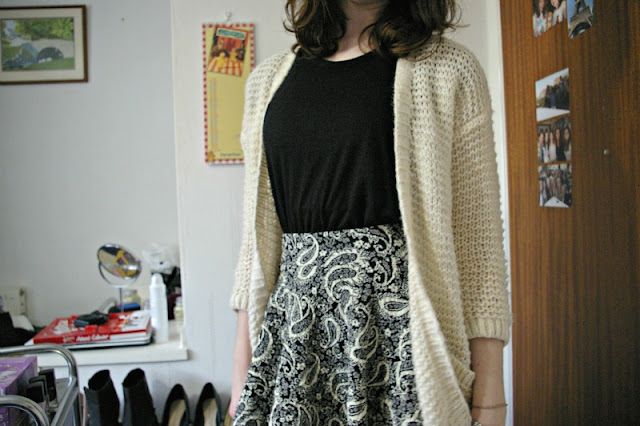 My cardigan is a cream, knitted cardigan from River Island. I find this lovely, warm and comfy in the Winter, however the sleeves are only 3/4 which isn't always great on very cold days! On my nails I have Barry M Navy and then Deborah Lippmann Across The Universe on top which is so beautiful! 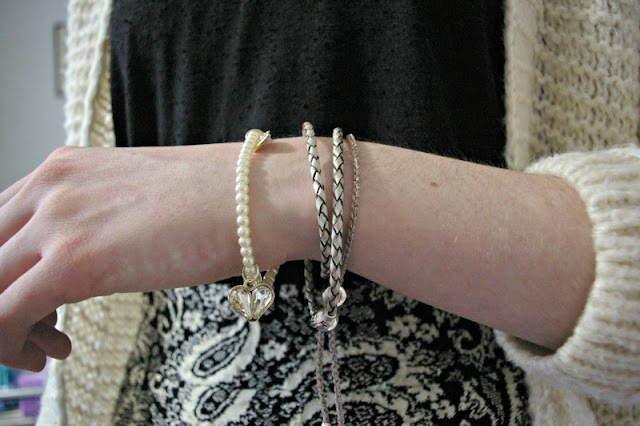 The ivory bracelet is from Pandora and the rose gold from Monica Vinader which I wear everyday. The pearly one with the heart is a Christmas present from my parents and it's so pretty. I absolutely love the skirt I wore as it's so pretty and it was a Christmas present from my parents! 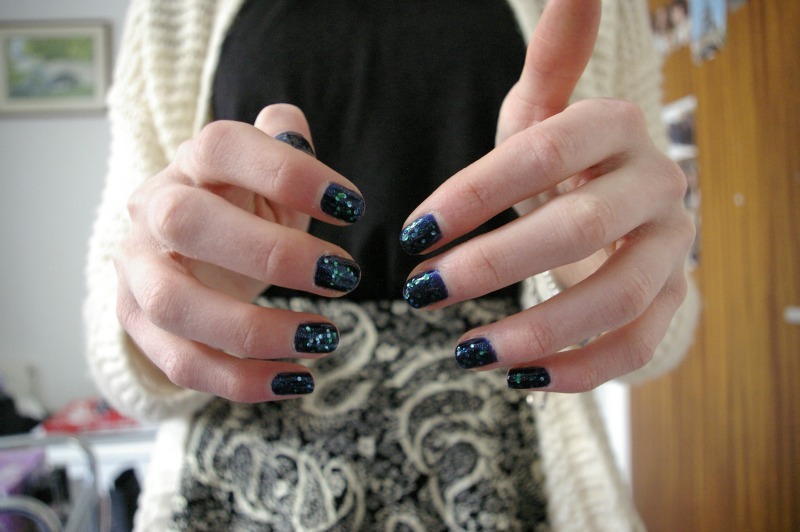 It's from Urban Outfitters and I find the length and fit is perfect. I knew I wanted to wear this skirt because I got it for Christmas so the rest of the outfit was basically just built around the skirt! 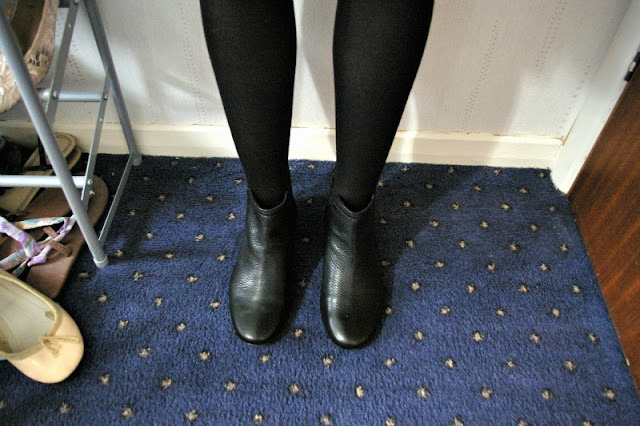 I wore simple black tights from Newlook which ladder very easily! I really need some new ones. My Chelsea boots are from my parents for Christmas and they are amazingly comfy! I wore them all day Christmas day and they are definitely going to be my go to shoes from now on as they are so comfortable! I hope you all had a lovely day. Let me know what your favourite presents were! Also let me know if you would like me to do a 'What I got for Christmas' post as I know I love reading other people's! You look lovely! Love the outfit. I love that skirt. I'll have to check if they still have it in UO.